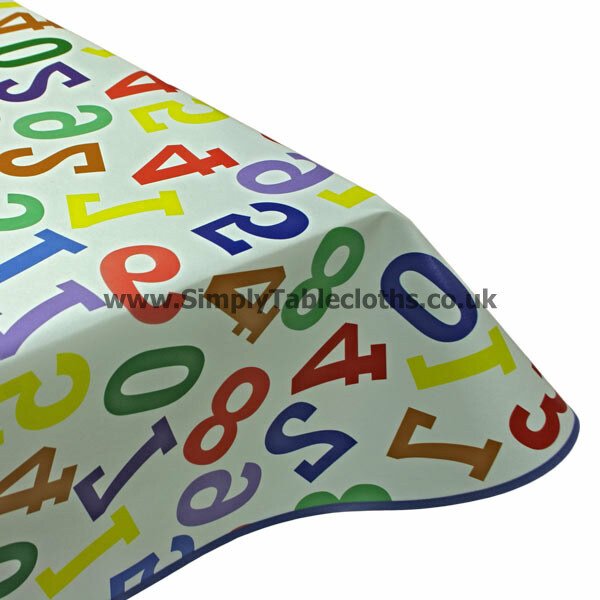 Your kids will love to learn their numbers with this fun and adorable number tablecloth. The primary colors are bright and vibrant, inspiring children to be curious and inquisitive. Why not stimulate their brains while they feed their bodies. Perfect for a kids table at home or school, this vinyl tablecloth will also stay nice and neat due to the vinyl surface that can easily be wiped clean.